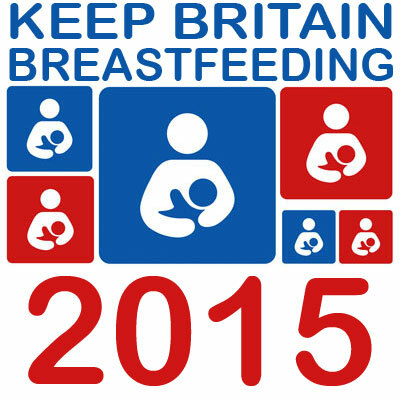 Kent Baby Matters - is a website offering information about infant feeding services across Kent. 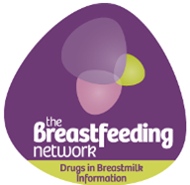 Just type in your postcode to find your nearest breastfeeding group, breastfeeding specialist or even where to find a pump. Find up to date information about becoming a trained breastfeeding peer supporter and when training is happening in your area. Breastfeeding Network - Our vision is a society where mums and families are able to make informed decisions about breastfeeding, to access help when they need it and to become confident in their choices. For a new mum deciding how to feed her baby, talking to a mum who knows about breastfeeding can make a crucial difference and the Breastfeeding Network strives to be the best we can be at providing peer support. Our mission is to offer independent, evidence-based information and support to help build awareness of breastfeeding to individuals and organisations and to support a mum in her choice to breastfeed. Laura from Life with Baby Kicks, is busy blogging about all aspects of parenting life of 2 boys under 3 from breastfeeding to toddler taming all whilst living the expat lifestyle in Dubai. Emma founder of breastfeeding clothes boutique Milk & Mummy and writer of the company blog featured on the site , got off to a difficult breastfeeding beginning with both her children but after overcoming the problems she became so #PositiveAboutBF that she fed both her children for over a year and went on to set up a business based around breastfeeding. She believes that mums shouldn't have to compromise on style because they are doing something as natural as breastfeeding and that having beautifully flattering, easy to feed from clothes can really help your breastfeeding journey. Ali, an extended breastfeeder who is the owner and writer of the parenting and lifestyle blog “Mum in a Nutshell” for stylish mamas, whilst also writing for The Mumington Post and Chic Magazine. Jen from My Mummy's Pennies blogs about life as a penny pinching working Mum of two, from breastfeeding and cloth nappies to family days out and thrifty tips. Princesspoet's Blog is a captures all the adventures that Lucy has with her husband and 2 little boys. We discuss everything from the exciting to the mundane. 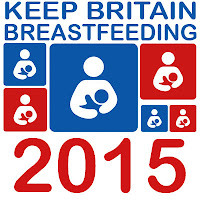 Breastfeeding, Parenting, Home Education , Marriage & Cooking. Zoe from Lycrawidow is Baby-wearing, breastfeeding mama. French speaker and daydreamer. Hopeless romantic. Loving, supportive Military wife. Brain tumour survivor (so far). Swiftly approaching 30. Usually found at (road)bike races or drinking tea. Can I Breastfeed In It? UK is the voice of the popular Facebook group of the same name, giving the wardrobes of breastfeeding women a new lease of life. Just Motherhood is a blog from the perspective of an ever grateful mum of two. It is where life's everyday magic is captured. A place where ordinary life is appreciated and memories are treasured. Kohl Mama is a blog highlighting the beauty in gentle parenting from sunny North East England. Passionate about normalising the continuation of a healthy breastfeeding relationship in a place where breastfeeding rates are one of the lowest in the country. My Mummys World is a parenting and lifestyle blog, brought from a single mama in the Midlands, sharing our adventures. Team Walsh is the adventures of one crazy family team who love nothing more than food, laughter, sports, books and being together. Visit from the Stork is the UK's only publication for young parents, covering every side of parenting with news, features and blogs, from pregnancy to school age. Run Jump Scrap is a parenting blog which documents my musings as I bumble through mummihood frantically trying to get my fitness and scrapbooking hits where I can. I loved breastfeeding my daughter and want it to be seen in more of a positive light and not something to be feared or for people to feel guilty if they either succeed or struggle. Mum Without Wheels - a first time mum who exclusively babywears a cloth bum baby! I'm passionate about the "alternative" parenting choices I've made and aim to spread the knowledge and dispel myths! Hibabyblog; the journey of a new mum living in Edinburgh blogging through the marvellous and mundane. Renegade Feminist is a blog exploring feminist issues through a gentle parenting lens and vice versa, when not diverting into politics, or homeschooling or something else entirely. Monkey and Mouse is the parenting and lifestyle blog of a Scottish mummy of 2 living amongst the hills, writing about their family adventures, kids crafts, baking and attachment parenting. Jade from Mummies Waiting want to join in because I love to help people and use my experiences to do that. I have been breastfeeding for over 2 years now and tandem feeding my 2 year old and 6 month old since birth. We have faced many difficulties, but none that we couldn't over come. I'm a breast feeding peer supporter and love to get people overcoming their issues. My Moo and Woo is a family lifestyle blog written by a Midlands Mom of 2 girls. Blogging about extended breastfeeding, parenting, health and fitness and everything in between. Adventures of a Novice Mum is parenting and lifestyle blog from a first time mum who is praying and blogging her way through motherhood. This is where she documents her experiences and mu-m-sings from her mum tinted spectacles on a range of issues in her life. She also shares her love of photography and her blogging lessons, whilst encouraging positive and constructive conversations about breastfeeding. Fitforparenting is a fitness enthusiast and Mum of 2 living in Cheshire, trying to be a fit parent not always successfully, ranting about breastfeeding, raising kids, depression and feminism with the odd glass of wine! Babyfoote is a collection of adventures of a busy mum with two boys - travel, sunshine, happiness, achievements, and fun! Family Fever is a family and parenting blog focusing on life with 4 children - days out, family fun activities, reviews and parenting tips. Hello, I'm Victoria and I blog at My Little L. I decided to start blogging in August 2013 as I wanted to share my parent-to-be/mummy experience with others and wanted to have an "online baby keepsake book". I blog mainly about L and a little bit about myself. Quite Frankly She Said is a parenting and lifestyle blog from a stay-at-home mum to two amazing little boys. One toddler, one baby. Lots of love. Not enough sleep. Helen writes Musings From A Northern Village and besides being a busy mum of three is also a writer and breastfeeding peer supporter. Having breastfed all three of her children to varying ages and overcome hurdles along the way, Helen is #PositiveAboutBF in all its various guises and believes that the path to normalising breastfeeding begins with future generations. To this end, last year Helen published ‘Mummy Makes Milk’ in collaboration with Hilda Kripp-Partridge, an educational picture book that explains breastfeeding to young children. MilkChic searches high and low to find breastfeeding friendly clothes on the high street for stylish nursing mums. Blogging about fashion, parenting, breastfeeding and lots more. Make Me Happier - Mother, wife and cat-owner. As a (relatively) new parent I observe the pressures placed on parents and the difficulties that one can face when becoming a parent. My main focus is on how, as parents, we can make our lives a little happier. Sunshine Scribbles is a new mummy/crafting blog created to document the wonderful journey through life and parenthood. The blog is authored byTina Baker and is bought to you from the sunny shores of Gibraltar. Chris from Dad Thoughts is a father of two girls, husband to a beautiful, breastfeeding woman, and massively #PositiveAboutBF. He wants to spread awareness of the importance of Dads within the breastfeeding relationship, and to explain how they can be positive, practical and protective when encouraging and supporting Mums to breastfeed. 'Live Oxfordshire' is a blog about family life in the heartland of middle class home counties England written by a thirty-something mother with hippyish tendencies and too many hobbies to do any of them well. The Confusing Diaries of a Puzzled Mummy is a lighthearted blog that discusses the trials and tribulations of a Mummy trying to blag her way through Motherhood! Hannah Spannah Coco Banana - Proud Single mummy blogger, idea behind Art For Baby book, collector of chronic conditions, user of crutches, usually covered in mud or snot. Natalie started blogging at Diary of an Unexpectant Mother after a surprise positive pregnancy test, detailing the highs and lows up to present day being a stay at home mum to a 2.5 year old crazy boy named Oliver. #PositiveAboutBF is a brand new collaborative blog which aims to provide a positive and supportive message about breastfeeding to all mothers. Ellie Stoneley, author of Milky Moments, blogs at Mush Brained Ramblings, a blog following her journey to become a first time mother when she was 47, and through the first years of her journey with her daughter who still enjoys natural term breastfeeding. Gill Crawshaw writes A Baby on Board www.ababyonboard.com, a blog about life in London as a mum of two, covering pregnancy, motherhood and everything from breastfeeding to beauty products.